Craig and Molly have similar stories. They both grew up in Christian homes. They both accepted Christ into their lives at a young age. They both were considered leaders among their peers, and in a relative world they have both made wise choices. Craig and Molly not only made a habit of waiting for God’s best in their lives, but they also waited for each other. The Sanborns are in the minority of couples who married as virgins and racked up close to 65 years of virginity between the two! 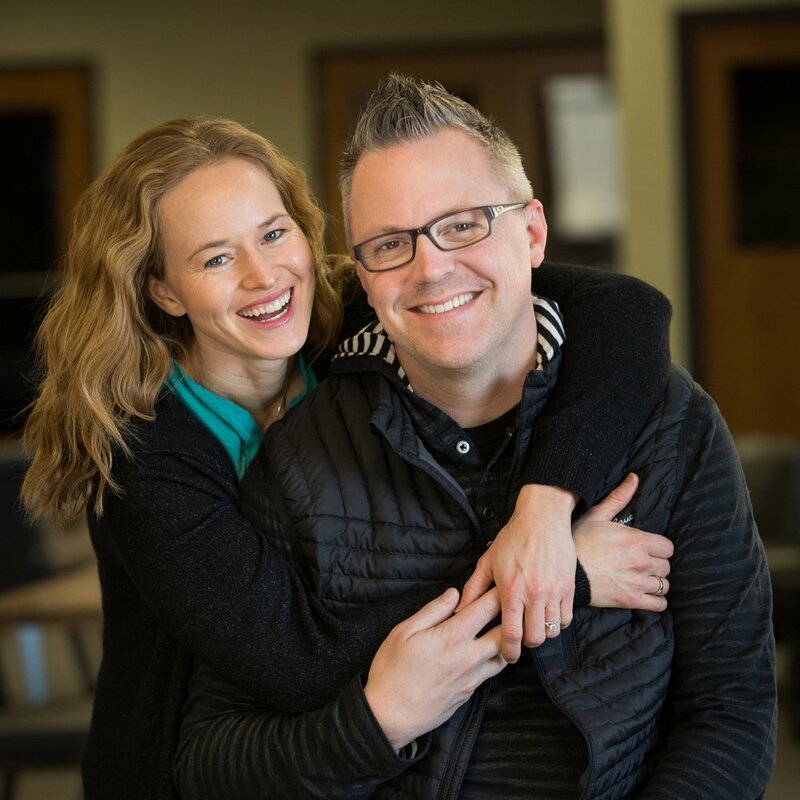 Craig and Molly have not only united themselves through marriage – they have also united their passion for speaking about abstinence to youth and parents, and marriage to couples with a style and perspective that is incomparable and inspiring to all audiences. In addition to joint sessions with guys and girls, they love to get into deeper, gender specific issues. If the venue allows, they’d love to pair off – Molly with the gals and Craig with the guys. To have Craig and Molly speak at your next event, please fill out a contact form. We are so thankful God orchestrated such an amazing love story, but it really pales in comparison to His love story. God sent His son to be the sacrifice for our sin so we could be forgiven and free to enjoy a relationship with Him – one that continues into eternity! Check out the message below which showcases Molly's tricked out grocery cart and explains God's great love for you and his plan to give you abundant life. Craig goes by many titles, but his favorite is “Dad”. In addition to building forts and reading books , Craig spends his time as the high school youth pastor at Plymouth Covenant Church. He has a passion for teenagers and counts it a privilege to invest in their lives. Craig loves speaking and tag-teaming with Molly in ministry. Craig grew up loving life in a small rural community called Cokato, which of course, is home of the annual celebration, the Corn Carnival. It was there that he grew up as a middle child in a family of five. Craig graduated fromDassel-Cokato High School in 1991 and pursued a career in broadcasting by graduating in the top two-thirds of his class from Brown College in the Spring of 1994. 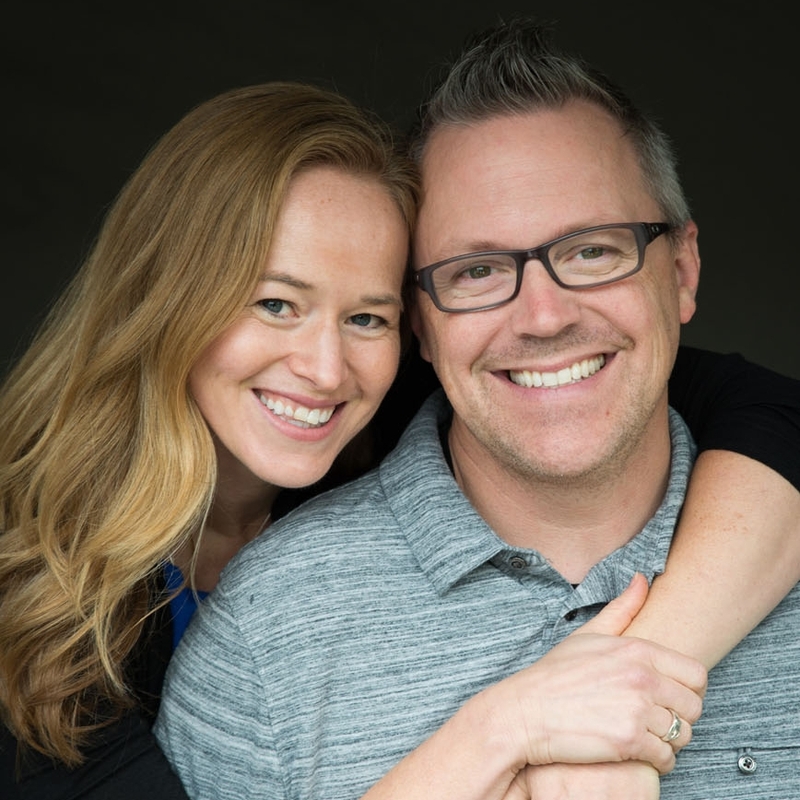 After 2.5 years as a disc jockey and sports director at KILR radio station in Estherville Iowa, Craig followed the Lord’s leading into a youth ministry position at Trinity Baptist Church in St. Paul, MN. As he began his new role as youth pastor, he also began to use his God given ability to speak to youth at camps, schools, churches and conferences across the country. In the Fall of 2004, Craig made the transition from a youth pastor to a full time youth speaker and communicator. After more than 20 years in youth ministry, Craig continues to pursue speaking opportunities while also investing into the local church as youth pastor. When not playing Uno with his kids or spending time with teenagers you can find Craig sorting through his Zubaz collection, playing disc golf, playing Donkey Kong, listening to one of 11,000 songs currently on his I-Pod (which he paid for), or donning his new storm trooper suit. Molly Sanborn (aka The Cheese Ball Chick) is a wife, mom, speaker, counselor, and lover of Jesus. Her creative ideas and infectious personality have been featured on several TV shows including Twin Cities Live and Wipeout. She loves to laugh and makes it her mission to help others find joy even in the midst of tough times. Molly desires to be a role model to teens, proving that it is possible to live above the influence and have a blast while doing so! Her accomplishments are many. Molly served three years as high school class president, while maintaining a 4.0 and playing 3 sports. After high school, she spent one year in a discipleship training school through Youth With a Mission. During that year she did missions work in Turkey, China and Mexico. Molly also loves any opportunity to encourage moms, dads, and married couples. As a mom of two and wife of almost 10 years, she “gets it” and loves encouraging others to go from surviving to thriving. Molly has nearly completed her grad school journey of Marriage and Family Therapy and will be graduating in May of 2018. She graduated from North Central University in May of 2006 and holds a bachelors degree in Elementary Education. She was the captain of her college volleyball team, made it on the Dean’s List every semester, and has traveled to 9 countries. She was awarded Elementary Education Student of the Year, and developed an award winning coffee shop, Overflow Espresso Cafe, at age 25. In 2015, Molly was honored by being selected as one of the “Ten Outstanding Young Minnesotans”. Molly has taken many opportunities to lead and motivate and continues to do so as she travels and speaks influencing today’s youth. If you recognize Molly, perhaps you saw her on ABC’s popular TV reality show, Wipeout. Or maybe you’ve seen her on YouTube or out and about with snacks on her back. She has become known as The Cheese Ball Chick as she brings “joy to the world one cheese ball at a time”. If seeing is believing, then you'll want to check out her Cheese Ball Chick Gallery. I (Molly) started journaling letters to God at the age of 12, and as I grew older, I often talked to God about the guys I liked and the husband I was hoping for. Below are excerpts from my prayer journals leading up to when I met Craig. I am choosing to make public some very private times with God so I can be an encouragement to you to go to Him with everything. "Dear diary" never worked for me, because seriously - your diary could give a rip! Just sayin' :). So I turned my thoughts, worries, and questions into prayers and watched how God brought peace, perspective... and eventually Craig - whahoo!!! Lord, it’s awesome! I seriously have NO desire for a boyfriend! Thank you for fulfilling me! Lord, I want to be fully complete in You – lacking nothing. Please teach me how to do that. Lordy, it’s Valentine’s Day and I am as happy as could be! Just You and me! Thank you for desiring good gifts for me and for giving me the desires of my heart (husband… hint! Hint! Just kidding!) You are all I want and if You throw a husband in the deal, well, Great! I love you! I really am looking forward to marriage, but I don’t want it to get out of control So please Lord, help me not focus on finding my guy or him finding me. Please help me redeem my time of singleness by using it for Your glory and an opportunity to be an example of a single woman of God. Ok, so here we sit on Valentine’s Day, 2002, and God, I am not the least bit lonely or sad. I am very content at where I am as far as being single. Please please continue to show me strategic and practical ways to take advantage of my singleness, Lord. Let this time in my life be used big time toward Your kingdom. Use me now in specific ways that You couldn’t if I as married or had a boyfriend. Please allow me to minister to hurting hearts and lonely women. Jesus, will you please help me guard this special time in our life and journey together? I ask more than ever now, that You will bring the person into my life in Your timing and without me having to work hard at it. My request of You is that You would be the match maker and let me know when the time and the man has come. God, some people may say, “Oh Molly, you have to do some work too. You can’t just sit around and expect some prince charming to sweep you off your feet.” Well, God, you know I am not just sitting around – I am running after you, Jesus, and building Your kingdom. I am busy with that, so I really don’t have time to shop around! That’s the honest truth, Lordy. For real! Like I’ve told You before – I don’t know how you work things concerning marriage and who ends up with who, but I do know that you are my Daddy and You love me and want the best for me. So could You please scope out the territory and pick out a marvelous man after your own heart who You know would be the best for me and I would be the best for him. I BELIEVE You for that! How else could it be? So for now, Jesus, my portion is singleness, and I gladly drink this cup! Yum! Yum! Last night, Mel and I prayed for our future husbands and reminded each other not to settle. I told You that I desire to be a wife that surpasses all my husband’s wildest dreams and expectations. I want to blow his socks off! Yay! God, it is my desire to have a dynamic marriage – one that breaks the norm and all the stereotypes. Please prepare me to be the woman that request requires and send me a man that will fulfill the husband’s role in that. I’m anxious, Lord, but willing to wait so that You can work in ways in me that You couldn’t if I was not single, and also, I trust You are preparing my “H”! Please continue to give me wisdom and discernment in this area – oh yeah – and PATIENCE – lots of it! Please prepare me to be an extraordinary wonderful wife. Please work in my hubby’s life too. Give him the patience and wisdom to wait for me and not get distracted along the way. It’s so easy for me to worry about guys and marriage and stuff. So please help me focus, focus, focus and trust, trust, trust You to hook me up. I know I won’t be disappointed. Yay! I really am in no hurry. You’ve given me a desire to be single (for now!). Please help me stay true to You, Lord, and Your work. You’ve reminded me of a lot of things, Lord, that I’ve prayed for for quite a while. You’ve reminded me that my future hubby is WORTH THE WAIT! God, the other night this good looking guy asked me out, and after we talked a bit, I turned him down. I don’t regret it, but I must admit that I began to entertain the idea of what it’d be like to date all take all the guys who ask me out up on a date. No lie, it would be fun – but I gotta keep being reminded that in the long run, it’s not the best. Too risky – hurt hearts, wasted time, temptation, etc. God, please help me stay true to You and my future love, my husband! Please help my husband guard his heart and have patience and the desire to wait for me. I want to believe that there is an amazing man with passion for you and that I can be giddy about and be attracted to. Please help me hope and trust in You. Dad really encouraged me last night. He smiled real big and said, “Molly, I know the Lord wants to bless you with an amazing man because you have been so patient in waiting and have set your standards high.” God, that really meant a lot to me coming from dad who sometimes teases me about being too picky. Dad took me to Camp Snoopy on a date and when we were riding the orange Tumbler, I told dad that is how I want to feel about my future husband – the way my stomach was flipping around. That’s what I hope and trust You for. Help me trust You! I am totally seeing that my longing for a boyfriend/fiancé/ husband is increasing. A friend told me yesterday to go to You to fulfill that longing. That’s so true and I know I’ve done it, but I think I need to learn how to do that even more. I want to be so content with You alone that a husband is just a marvelous additional gift – not a right. Please help me wait with patience and trust, and to not get sidetracked by looking to and fro! You know what Lord, I am super excited about talking to You and relying on You for wisdom and advice when I do meet that special guy. It’ll be so much fun! I am excited to be giddy with You about it. For now, though, Lord, please help me make the most of this season of singleness. Help me be an example, Lord. I totally trust You with my future. Lord, there are a lot of nice Christian guys, but not too many who are planning on serving You full time. I know they’re out there, though. Please lead me to him – or him to me. I want to believe that I will know – that it will be obvious in the way he lives and talks. My desire is that my future husband’s passion for You and devotion to You and Your kingdom will be so obvious that I don’t need to wonder if it’s there. Please be giving my future husband heart preparation for me and contentment in waiting. Please give him wisdom and direction as he seeks You for advice on who he pursues and is interested in. Please save him and protect him from heartache and hurt. Help him focus on You completely. Please allow us each to be a gift to each other (from you!). Please be strengthening my hubby as we’re not yet together. Please help him set and maintain high standards, totally trusting me to You. And please help me do the same in the times I get restless or lonely (they’ve been coming more often!). Please help me continue to trust in Your timing and plan. Oh God – I’m excited! Yay! Please help me live my singleness to the greatest degree – to honor You with this time and live with no regrets. Wow! You sure have been working on this heart of mine! I really want what You want. I really trust You. Please forgive me for worrying in the last few weeks and for entertaining ideas of finding my man. Lord, I genuinely am excited to live every day knowing it’s from You and trusting You that you know the perfect day to introduce me to my hubby! Until then, Lord, I once again hold my hands and my heart up to You and ask You to take them and use them for Your glory. My heart’s desire is to marry a man passionate about speaking who I could support and partner with. I am antsy to meet my man! God I feel so free and ready to truly believe You for the incredible man I’ve always asked for! Ahhh… please help us be faithful and diligent as we wait for Your timing. Oh my goodness, God! I am so excited to meet my man! God, I totally trust You for an amazing “catch” – one that I even believe will exceed my expectations! Whahooo!! Please give me (and him!) patience as we wait for You. I gotta trust You for Your timing. Please be working on me and my guy – getting us ready for each other. Lord, I am so excited to fully, totally and completely give myself to my guy! I am excited to overwhelm him in a good way. Please help me and him be patient as we wait for You and are led by You. Thank you for protecting me so far in this area and allowing me to have such peace and no regrets or baggage as I move forward. Dear Lord! This girl feels like she’s gonna explode from all the stored up passion and giddiness! Oh, but what a fun feeling! To know I have EVERYTHING left to give one guy! God, though You haven’t spoken it to me as if it’s definite, I think I’ve slowly become convinced that my story is going to be marrying someone with a past, perhaps a lot of baggage and then helping them work through it. But up in the tree house, it’s like You hit me with this thought – it doesn’t have to be like that – You could still choose to bless me with a man who doesn’t have that story – and wow, God, even to think about marrying a guy who has waited for me was like a new thought for me! Wow, it was unbelievably refreshing to think about! God, please teach me things. Grow me and shape me into a more godly woman. God I do trust you. I’m sure that You have a perfect, beautiful plan and have Your eye on a a fabulous man fro me to love and support, laugh with and change the world with. I do believe one day I’ll stand before this man on our wedding day in my white dress and huge grin and praise and thank You for bringing me there. I know I’ll even thank You for the journey, the process and the road that brought us to that place. It’s just hard when I’m in the midst of the journey and unable to see ahead. It’s amazing and actually exciting how much I have to and want to give. Unhurt and with no pain or regret, I find myself uninhibited and eager to share myself with one man. I’m so grateful that is my story, Lord. Thank you for all Your guidance, Your protection, Your enabling and Your call for me to live with high standards and wait for Your best. There’s that famous word that I am all too familiar with – WAIT! I giggle as I think about how many things I’ve waited for, and how most often it turns out to be well worth the wait. And then I know there are things that I should have waited for and haven’t, and I wonder what blessings I’ve passed up because of my impatience. I don’t want to do that on this one, Lord. Ah Jesus! I love you! I am head over heals giddy about life and You! God, I am 26 and as single as ever and as happy and content as I ever could image being!! It’s so great to be Yours and to be taken care of by You. You are a good God. You, my Lord, are all I need!! Thanks for letting me be so content in life in my singleness. It is amazing to have everything to look forward to. I am truly overwhelmed, Jesus. I love you. Thank you for filling me and letting me overflow on those around me. Amen! Amen! I love you. Lord, I don’t doubt Your nearness and even Your call for me to be speaking/ministering full time; but I have this ever growing longing to be doing it with someone. Holy Spirit, I ask you to teach me and train me to be a woman whose priority is reflecting the beauty of the Lord, not the beauty of her body. A woman who is excited to keep her deepest secret for one man and to totally intoxicate him with the fullest extent of her beauty. Ahhh… that’s gonna be fun!